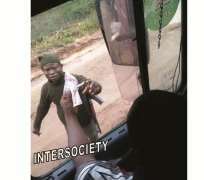 (Chima Ubani Center: Onitsha Nigeria, 25th December 2018)-Following the release yesterday, Monday, 24th December 2018 of Intersociety’s sub-report: Welcome to Southeast Region-Nigeria’s Headquarters of Official Highway Robbery, the personnel of the Nigeria Police Force and the Nigerian Military particularly those mounted or stationed at police and military roadblocks in the Region have taken a flight and temporarily dismantled most of their roadblocks. Citizens should make maximum use of their ICT appliances and brains in the instant case. These must be fully deployed and applied in this Xmas and New Year holiday and beyond to checkmate all forms of military, police and paramilitary roadblock and checkpoint extortions and abuses. Credible finding so generated can be sent to any notable rights group or Intersociety via [email protected] for further or follow-up steps.